This is a quick guide for all the sharks available in Hungry Shark World. We will be breaking down the details here. 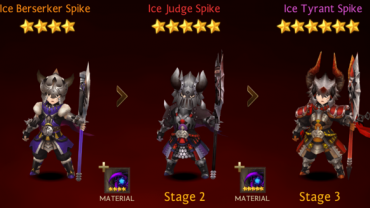 Keep in mind the shark stats are max stats. 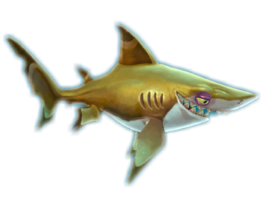 The Sand Shark is the first and cheapest “M” (Medium) shark unlocked in Hungry Shark World. The M sharks are to be unlocked once 15 missions have been completed. This shark is evolved for great speed. The smooth hammerhead is a shark in Hungry Shark World. It is the last M-classed shark in the game. It is described as “An impressive all-rounder” The shark is purple, and lacks accurately sized fins. 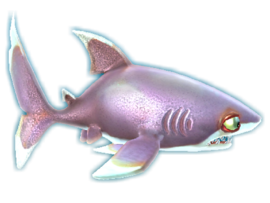 The Goblin Shark is the second “L”(Large) shark unlocked in Hungry Shark World. The large sharks are to be unlocked once you max level up any M (Medium) shark. The bull shark is a shark in Hungry Shark World. It has a great bite force, with higher stats, but less health than the Goblin Shark. The Mako Shark is a shark in Hungry Shark World. It is an L-class shark. 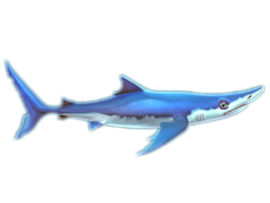 Even though it’s the second shark obtained inHungry Shark Evolution (see Here), it is available later in Hungry Shark World. It is very agile, and has a decent bite as well. The Megamouth is the first and cheapest “XL” (Extra Large) shark unlocked in Hungry Shark World. The XL sharks are to be unlocked once you max level up any L (Large) shark. The great hammerhead is a shark in Hungry Shark World. It is a XL shark. It is an XL shark and is a great shark. Has the best stats of the XL sharks, but the lowest health. 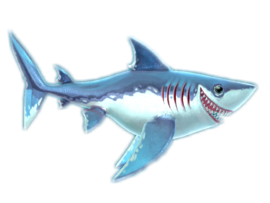 The Basking Shark is one of the many new sharks added into Hungry Shark World and is one of the 3 XXL tier sharks in the game alongside the Great White Shark and Whale shark. Since it has a wide mouth, it can be used to offensively rampage through many creatures in the ocean, as well as out of water. The Whale Shark is second “XXL” (Extra, Extra Large) shark unlocked in Hungry Shark World. The Great White appears in every game. 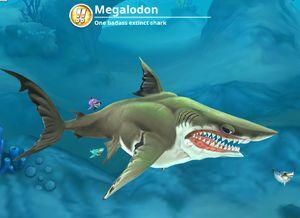 In Hungry Shark World, it is shaped much differently than in other Hungry Shark Games, It is similar to the Megalodon in terms of shape and attitude. The Megalodon is the one and only (!!) shark to be unlocked in Hungry Shark World. It will be available to be purchased by coins once the player plays enough games, levels up and purchased all three XXL sharks.